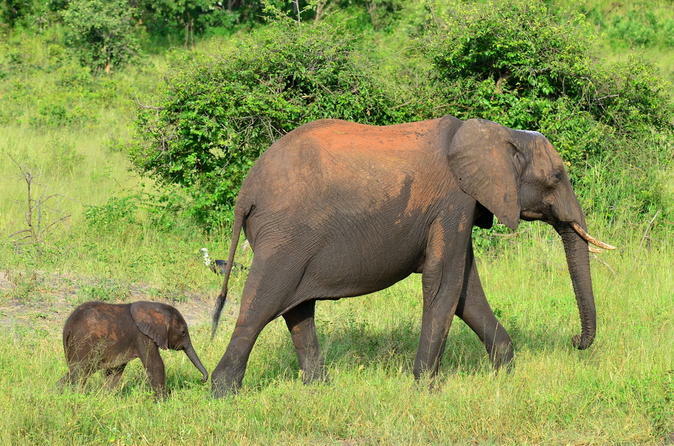 Leave Kasane to explore Chobe National Park on a 3-hour game drive, and see the wild herds of elephants for which the park is famous. With a professional ranger as a guide, sit back and enjoy the ride while looking out for Africa’s famous Big Five animals. Admire the scenery, learn about the wildlife and have your camera ready to capture photos of Botswana’s impressive savannah sights. 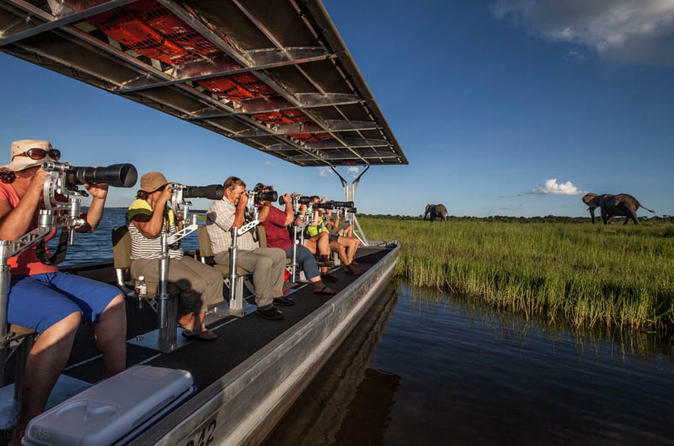 Join a morning or afternoon photographic safari along The Chobe River on a photo boat. You will be supplied with a fantastic camera and telephoto lens and show you how to get some amazing pictures that you will treasure forever. 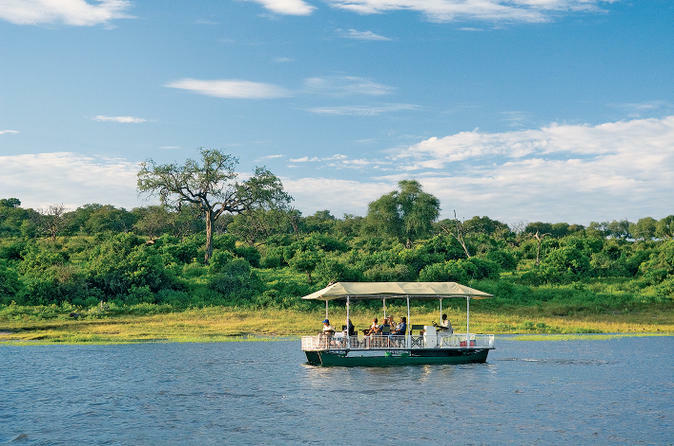 Discover the riverside wonders of Chobe River on a 3-hour safari cruise, with transport from Kasane. After arriving at the water’s edge, step aboard your sightseeing boat and sit out on deck to see the stunning variety of wildlife, both in and around the river. Running through the heart of Chobe National Park, the river attracts an array of colorful birdlife, as well as crocodiles, hippos, elephants and more! 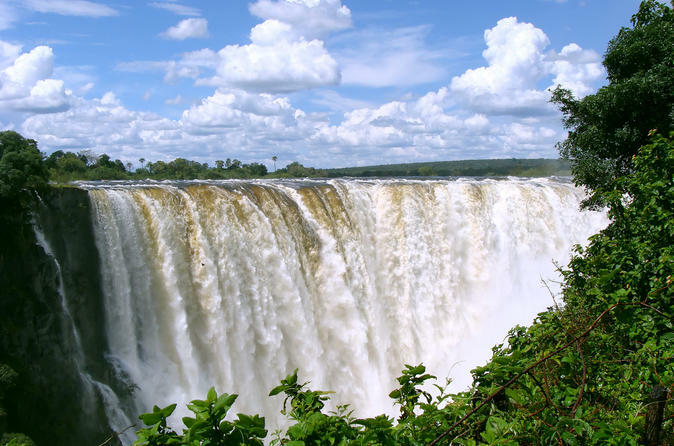 Visit Victoria Falls town on a day trip from Kasane, discovering the delights of its namesake waterfalls on a rainforest walk and exploring an African crafts market! Putting the spotlight on the impressive waterfalls, the rainforest walk takes in some of the finest vantage points to ogle them from, such as the Devil’s Cataract at Victoria Falls’ lowest point. Hone your bartering skills on an afternoon visit to the craft market, and then enjoy some free time to explore town. Upgrade to include a traditional Zimbabwean lunch halfway through the day.